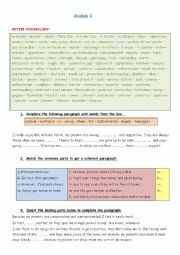 I collected some activities to review module 3 & 4 including the active vocabulary, hope it will be of a use. 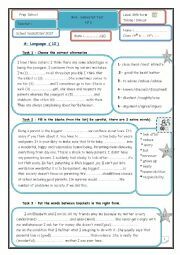 Thaaaaaanks a lot for your nice comments , do find here MODULE 5 worksheet ,I磎 still preparing Module 6 . 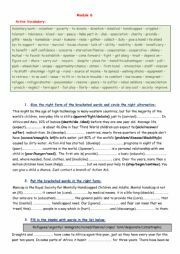 9th mid-semester test n�:language and listening activities , audio link is included , have a nice week. I磛e collected some activities dealing with module 1 & 2 in addition to active vocabulary related to the theme , hope it will be useful. Mid-Semester Test n�9th form Tunisian program :language +listening .The audio link is included . Have a nice day . 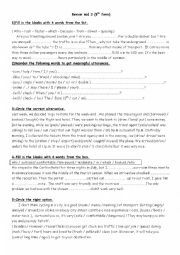 End of Semester Test n�7th form ,Tunisian program .Thanks Khais El Heni for the text . Have a nice week . 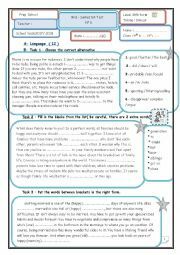 Mid-Semester Test n� 7th form :language + writing activities. 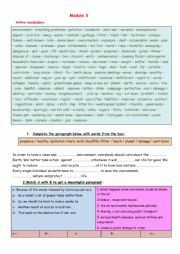 Some useful language activities to review for 8th form.